2. prototyping can be used to gain a better understanding of the kind of product requiired in the early stagse of developmment. It can help dersigners keep track of the design improvements and possibly test out its effectivity with a control group. It takes teamwork to achiweve rapid prototypping and the application of its principls in a particular fild. Basically, most of the tasdks are done during the desiggn schematic prcess. It is now a part of any srensitive productions to do rappid prototyping befre decisding on how the project or proudct will make or break it own future in the market. Or in case of surgical applicaations, it aids in the crucial steps the specialists will take part in a life-threatening solution rapid prototyping can offer. If performed correctly, the outcomes of your Search engine optimization efforts are especially impressive. Those that practice what some refer to as “ethical” and “correct” Search engine optimization are known as White Hat SEO’s. One of the most critical for Search engine optimization would be to follow the rules and you will not have anything to worry about. Last time I talked about how to create an adder in Verilog with an eye to putting it into a Lattice iCEstick board. The adder is a combinatorial circuit and didn’t use a clock. This time, we’ll finish the demo design and add two clocked elements: a latch that remembers if the adder has ever generated a carry and also some counters to divide the 12 MHz clock down to a half-second pulse to blink some of the onboard LEDs. Clocks are an important part of practical digital design. Suppose you have a two input AND gate. Then imagine both inputs go from zero to one, which should take the output from zero to one, also. On paper, that seems reasonable, but in real life, the two signals might not arrive at the same time. So there’s some small period of time where the output is “wrong.” For a single gate, this probably isn’t a big deal since the delay is probably minuscule. But the errors will add up and in a more complex circuit it would be easy to get glitches while the inputs to combinatorial gates change with different delays. The most common solution to this is to only “look” at the signals (and store them in a flip flop) on a clock edge (usually, just the rising edge). Now the circuit will work fine if the longest delay from one flip flop’s output to the next flip flop’s input is less than the period of the clock. This makes things much simpler to design. If you need a refresher on flip flops, they are elements that remember a single bit. A D flip flop will remember its input (named D) at the clock edge and hold that output until the next clock edge. There are other kinds of flip flops, like the T flip flop (which toggles state) or the JK flip flop which can perform several functions. With Verilog, you generally won’t create flip flops directly, but will let the compiler infer them from your code. Just as using the plus operator allowed the Verilog compiler to do the best thing for an adder, the expression above will let it build an efficient counter without you having to worry about the details. You can build a counter out of individual modules that infer flip flops (or modules that your tool provides for you) but it is better to leave the details to the compiler. In English, this says that when the clock has a rising edge, check to see if the reset line is high. If it is, clear the carry latch. Otherwise, check to see if the carry is set and if so, set the carry latch. It will remain set until a reset clears it. The Verilog tool will recognize this is a flip flop with synchronous reset. If you get really concerned about performance, you may want to investigate if your FPGA does better with an asynchronous reset and learn how your tool can be told to do that instead. But for now, this is sufficient. The realization will probably be a D type flip flop with a rising edge-sensitive clock input and a clock enable tied to the carry line. The D input will be tied to a logic 1. Because the nonblocking assignment (<=) appears, the value of b will become whatever a was at the moment the clock edge occured. That is, all the assignments in the block happen all at one time. In simulation, that means they happen at the end statement since simulations have to pretend everything happens in parallel. In an FPGA, parallel execution is just how the hardware works. The Verilog compiler is smart enough to know that b should equal 1 in this case and has to generate extra circuitry (a latch) to make sure b isn’t set at the same time as a. This can cause lots of timing issues and unless you are sure you need to do it and understand the ramifications, you should avoid it at all costs. 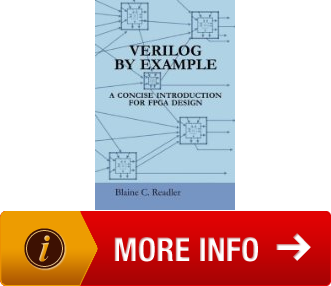 You may notice that some of the variables in the Verilog code are of type wire and some are of type reg. A wire has to be constantly driven to some value. A reg is more like a regular variable. A reg may, but doesn’t always, infer a flip flop. However, you can set a value in a reg and it sticks. One problem you wind up with in Verilog is that if you make up a name, the compiler (by default) will assume you mean for it to be a wire unless you tell it otherwise. That sounds handy, but the problem is if you misspell a name, it just becomes a new wire and then you can’t figure out why your code doesn’t do what you want. This causes the compiler to throw an error if you use an undeclared net. That will save you a lot of debugging time wondering why things aren’t working. The remainder of the Verilog takes the 12MHz clock and uses it to drive a 16 bit counter. When the counter overflows, another counter increases. When that counter reaches 91, the secondary counter goes to zero. This takes roughly 1/2 second at 12MHz. You can figure that out by noting that 12MHz is 83 ns or .000083 us. A 16-bit counter will overflow on the 65536th count (two to the 16 power). Do the math and that comes out to nearly 5.5ms per overflow. If you let the secondary counter go to 91, that will take almost 497ms. If you go to 92, you go over (502 ms). Note that counting to 91 (or 92) only takes a 7 bit counter. A graphical representation of the situation is shown here with the code for it below. The counter declarations look like arrays, but they aren’t (Verilog does support arrays, but these are not arrays). The numbers in square brackets are telling you the number of bits in the value. So cnt1 has 16 bits numbered from 15 (the most significant) to 0 (the least significant). This bit of code sets the reset line, holds it for 10 clock cycles, and then clears it. At the end of the test bench is a 400 cycle delay just to let the counters do something. There’s one small problem with the simulation. The 12 MHz divider won’t do anything interesting in “only” 400 cycles. It isn’t uncommon to change magic numbers to smaller values when simulating. In this case, I change the primary counter increment to 8000 hex so it will flip every other clock cycle and then changed the test for 91 down to a more reasonable value. There are several ways you can do this, but to stay simple, I just commented out the real versions and later I’ll remove the comments and comment out the simulation versions. You can see the entire code on EDAPlayground and you can even run the simulation from there. The waveform shown here will appear. If you want to know more about how it all works, check out the video and I’ll walk through it step by step. Next time, I’ll show you how to take the Verilog (which should work since it simulates correctly) and push it down to the FPGA board. If you’ve been paying attention, you should have at least one serious question: How do I tell someone that LED1, for example, maps to the LED on the board? That’s a great question, and I’ll answer it next time. Here’s a clue though: It doesn’t depend on the name of the net. I could have called that signal BigJim and I’d still be able to map it to the LED. If you plan to work along, you can get a head start by installing the open source tool kit now. Of course, if you don’t have an iCEstick, that won’t do you much good unless you just want to dry run the tools. JTAG is a method for testing connections on printed circuit boards (PCBs) that are implemented at the integrated circuit (IC) level. It is very difficult to test complex circuits with traditional in-circuit testers. Because of physical space constraints and inability to access very small components and BGA devices, the cost for board testing has increased significantly. jtag is an elegant solution to overcome problems with physical in-circuit testers. always @(*) case (number) 4'h0: dispoutput <= 7'b1111110; 4'h1: dispoutput <= 7'b0110000; 4'h2: dispoutput <= 7'b1101101; . . . While exploring project ideas for DECA, a new Altera MAX10 FPGA board from Arrow/Terasic (I will cover it in a later series), I’m curious about FPGA graphics capability. I checked it out with a Cyclone V SoCKIT I had since last year. I found Terasic SoCKIT VIP (Altera Video and Image Processing Suite) reference design from RocketBoards. It does a really good job to demonstrate video features of VIP. I modified the FPGA design to address more on graphics, by removing Logo generator I don’t need, and adding a frame reader of 800×480 pixels and 32 bit per pixel to support graphics, and reusing the first frame reader of 640×480 pixels for graphics too. The following picture shows the FPGA hardware setup, basically VIP, and software process for graphics rendering. The rendering process consists of two threads handing graphics; and each thread corresponds a VIP Frame Reader, as indicated on the right side of FPGA setup of above picture. The first 640×480 pixel graphics loops through a sequence of PNG files to show a snowfall. Except for transferring decoded PNG data directly into the frame buffer, it doesn’t do much else. The main parent process also adjusts this graphics’ position such that it bounces around within the screen. The second 800×480 pixel graphics renders a Automotive HMI design. The graphics is using XFree86 frame buffer pipeline and proprietary engine. The following video click shows the process showing the graphics: turn on the SoCKIT board; bring up ethernet so software application can be downloaded to FPAG and debugged via ARM DS-5 Altera Edition; configure the FPGA; and finally run the graphics application. This exercise lays a solid foundation for my next tackling to get graphics working on Altera MAX 10 DECA board. Firstly, Find out what kind of flow the institute is teaching as fpga based flow is sheer waste of time and Money as FPGA is just very small part of VLSI Flow. select folder name & project name in the dialog box. Add file(HDL) if already exist in above selected folder else move to next. Select the Device family e.g “Cyclone IV GX” and select the available device “EP4CGX15BF14A7”. Click next. Click on new file and select “VHDL File”. write your VHDL code and save file in same name as your project name. Click on start analysis and synthesis for errors if any. For pin assignment, click on pin planner. In the “location” column type pin_XX, the options for pin no. will be suggested. then click on processing –> start I/o assignment analysis or click on Run I/o assignment analysis as shown below. then click on start compilation. successful compilation will generate a .sof file which is to be burned in your FPGA. Connect your FPGA to PC via USB Blaster (install USB blaster drivers initially). Go to Tools tab, then click on the programmer icon. Click on Hardware setup–> select USB Blaster or select Auto Detect. Click on Add files, to add the .sof file. Click on start and wait till 100% progress. I started playing around with FPGA development using the Terasic DE0 development board recently and the first problem I encountered was the installation of the USB blaster driver. As far as I know there is no problem in installing the driver on Windows 7 but if you are using Windows 8 or 8.1 then you probably ran into the problem of Windows not allowing you to install unsigned drivers. I lost a significant amount of time to make the driver work on Windows 8.1 so to speed things up for you, here is what you do. Now, if you follow the instruction from Altera USB blaster install you probably get to step 8 of the instructions after which you are not prompted with a window mentioned on step 9. This is due to the fact that Windows 8 doesn’t allow you to install unsigned drivers by default so you need to disable this security option. Having all that in mind, now press the Restart now button from the screenshot above. After restart try to install the USB blaster driver. Plug in the device, fire up Device Manager, locate the USB-blaster device and click on Update Driver Software. On the new window that opens choose Browse my computer for driver software. In the next window, locate the driver and click Next. Enter/browse for the location of the USB blaster driver. It’s in the Quartus II installation folder. A new window will open. In the drop down menu choose USB blaster. Click Close. In the Programmer window you should now see the USB blaster selected as a programmer. That’s it! The driver is installed and you can now program the FPGA board. 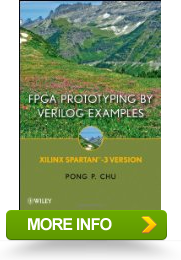 There’s some variation, but the basic flow in an FPGA build is to use a synthesizer to convert Verilog or VHDL to a physical design. Then a mapper maps that design to the physical elements available on a particular FPGA. Finally, a place and route step determines how to put those elements in a way that they can be interconnected. The final step is to generate a bitstream the chip understands and somehow loading it to the chip (usually via JTAG or by programming a chip or an external EEPROM). One problem with making your own tools is that the manufacturers typically hold the bitstream format and other essential details close to their chest. Of course, anything can be reverse engineered (with difficulty) and [James Bowman] was able to build a minimal CPU using an open source Lattice toolchain. The project relies on several open source projects, including IceStorm, which provides configuration tools for Lattice iCE40 FPGAs (there is a very inexpensive development platform available for this device). We’ve covered IceStorm before. The IceStorm project provides three tools: one to produce the chip’s binary format from an ASCII representation (and the reverse conversion), a programmer for the iCEstick and HX8K development boards, and database that tells other open source tools about the device. Those tools blend with other open source tools to form a complete toolchain–a great example of open source collaboration. Yosys does the synthesis (one of the tools available on the EDAPlayground site). The place and route is done by Arachne. The combined tools are now sufficient to build the J1A CPU and can even run a simple version of Forth. If you’ve ever wanted to play with an FPGA-based CPU design, you now have a $22 hardware option and free tools. The chip features the revolutionary HyperFlex core fabric architecture built on the Intel 14 nm Tri-Gate process. This equates to a 2X core performance gain over other high-performance FPGAs at up to 70% lower power. The Hyperflex design addresses some of the issues that come in to play at high GHz frequencies. The primary concern is minimizing the so-called propagation delay — the time it takes a signal to travel from one register to the next. There are two components to propagation delay, the logic or gate delay, and the routing or wiring delay. Normally, one might try to speed things up by widening the buses to move more things in parallel. The downside is that a much larger die is generally needed, and it also consumes more power. Instead, Altera focussed on the routing delay by simply adding more registers. 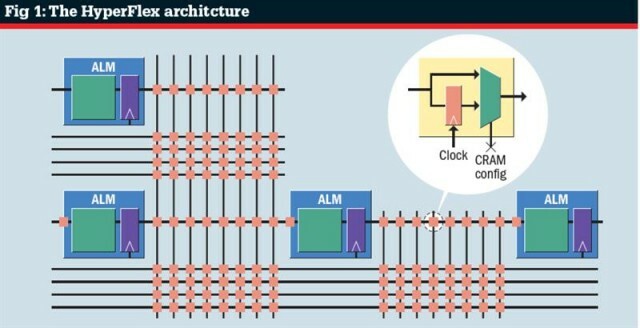 The key is that their ‘hyper-registers’ can be associated not only with each routing segment on the chip, but also with the other amenities like DSP and embedded memory. Unlike general registers, hyper-registers also include the option to be bypassed. On the design end — not the chip design itself, but rather the design that the user burns into the chip — this bypassing feature allows optimal register location to be automatically programmed in after the ‘place-and-route’ step. The place-and-route is typically what the designer does after creating the circuit (the set of logic elements together with the netlist connecting them), by popping the logic and connections into their desired places and pins on the chip. Some other features that caught our eye include the integrated quad-core 64 bit 1.5 GHz ARM Cortex-A53 hard processor system, and 10 TFLOPS of IEEE 754 compliant single precision floating point DSP. The heterogeneous 3D System-in-Package (SiP) integration also sounds cool, although I am not really sure what all that entails. It must be good, because with up to 5.5 million logic elements the chip claims itself to be the highest density highest density FPGA fabric available. Clearly not business analysts, we have nonetheless noted that only a few companies have so far availed themselves of Intel’s 14nm process, with Altera being one of the majors. Apparently, Intel has indicated they will be integrating FPGAs into future Xeon products to add some processor customization capability. Gaining access to Altera’s technology at a deeper level should definitely complement the FPGA packaging services that Intel already provides for customers. LEON3? 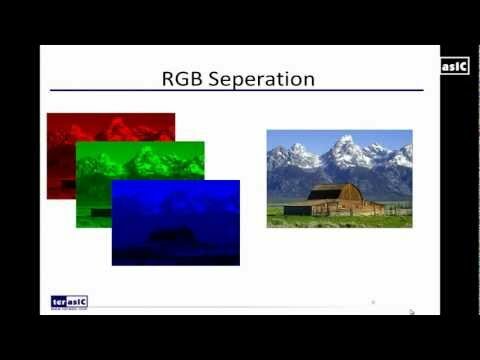 FPGA? ?? ??? soft-core processor ? ? ?? ?, SPARC V8 ????? ???? ??. ?? ??? Cobham Gaisler?? ???? ?? ?, ??/?? ???? ??? ??? ? ?? (GNU GPL ????). RTL? ?? ???? ????? ? ? ????? LEON3? ????. LEON3? ??? ZedBoard? ????, ? ?? ???? ?????. ? ???? ZedBoard? LEON3? ?? ?, ???? ???? ?? ???? ??? ????? ??. ??? XUPV5-LX110T(ML509) ??? OpenSPARC? ???? ??? ????. OpenSPARC? Sun?? ??? ???? ??????[6,7]. OpenSPARC? XUPV5-LX110T? ??? ?? ?? ???? ???. ?? ?? ??? ?? ?????. 10?? ?? ??? ????? ????? ?, ??? ???? ?? ??? ????? ???. ?? ??? ?? ???? ?? ?? ?, ?? ???? ??? ?? ??? ???. ?? ?? ?? ?? ??? ?? ????? ??. ???? ?? ??? ?????? ?, ISE 10.1 ?? ??? ???? ??? ??? ???. ? ?? ????? ???? ??? ???? ???. ??? Xilinx?? ???? ? ? ?? ?, ???? ?? ?? ??? ???? (VCS, Vera, Debussy). ?? ?? ?? ??? ??? ?? ?? ????. ?? ?? LEON3? ????? ? ???? ?? ?, ???? ??? ?? (??? ???). ?? ??? ??? ???? ?? ??? ? ???. ?????? Realtime Embedded?? ???? ????? ??? ???. LEON3, OpenRISC 1200, Nios2, MicroBlaze ?? ????? ??. LEON3? ?? ??? ?? ?, ???? ?? ?? ????. Realtime Embedded? ?? ??? ? ???? ?? ?, ??? ?? ???? ?? (?? ?? ), ?? ??? ???? ?, ?? ??? ???? ??? ZedBoard? ?? ????? ??? ?? ???. – 1) grlib ???? ? ?? – 2) Xilinx Vivado 2013.4 ?? – 3) ??? ?? ?? ? Digilent ???? ?? 3. LEON3 ?? ? ZedBoard? ??? – 1) grlib ?? ?? ?? – 3) ZedBoard? leon3mp.bit ??? 4. grmon? ??? LEON3 ?? ? ??? ?? – 2) grmon? ??? LEON3? ?? – 3) ??? ??? ???? ? ?? 5. ??? ??? ?? ? ?? – 1) ?? ? ???? ? ?? – 3) leon linux ?? – 5) grmon? ??? LEON3 ? ?, ??? ?? ZedBoard? Zynq-7000 all-programmable SoC? ?? ?? ???? [4, 11]. Zynq-7000? all-programmable SoC? ? ??? ??? ?, ZedBoard? ??? ??? ? ??? ?? ??? ????. Zynq-7000? ??? ?? ??? ZedBoard ??? ZC702, ZC706 ?? ??. ?? ???? ZedBoard? ??? ?? ??? LEON3? ?????. ZedBoard? ?? ?? ??? ???? ??? ??? ?? ??. ???? ????? ??? ????? ?, LEON3? ??? ???? ????? ?? ??? ???? ??. ZedBoard ?? ?? ?? ? ?? ??? The Zynq Book, An FPGA Tutorial using the ZedBoard, ZedBoard Training and Videos, Zynq design from scratch? ???? ??. ? ?? Xilinx Documentation? ? ???? ?? ??? ?? ??. ZedBoard? Zynq-7000? ? ??? LEON3? ??? ?? ?? ???, ? ??? ??? ?? ??? ???? ??. LEON3? ???? ZedBoard? ??? ???? grlib(LEON3 ?? ?? ), Vivado(?? ?? ), digilent ????? ???? ???? ??. 1) grlib ???? ? ?? Cobham Gaisler ????? ?? ?, LEON3/GRLIB source code? GRFPU netlist? ??????. ??? ??? grlib? ???? ??? ??? ?? boards ????? ?? ??? ?? ??? ?? ?? ?, designs ????? ?? ??? ?? ??? ?? ??. designs ?????? make ???? ??? LEON3? ??? ?, ?? LEON3? ?? ? ??. ZedBoard? ? ?, ./grlib-gpl-1.4.1-b4156/designs/leon3-xilinx-zc702? ????. ?? ?? ? ?? ??? ?? ??? ? ???? ??? README.txt? ???? ?? ?, ?? ???? ??. 2) Xilinx Vivado 2013.4 ?? Xilinx ????? ??? Vivado Design Suite 2013.4 ??? ??????. ??? Vivado Design Suite 2013.4 ??? ???? ?? (README.txt ??). ??? ??? LEON3? ?? ? ??? ??? ?? ???. ??? ?? ?? ?? ?, ?? ???? ??? ??? ???? ??? ??? ??.
? ??? ?? ? ???? ?? ??? ? ??? ??? ?? ?, Xilinx ???? ???? ???. ?????? ?? ??? ?? ???? ??? ?? ??? ?? ???, ? ??? ?? ?? ? ??. ?? ?, ??? ?? ???? Xilinx cable driver ?? ??? ???? ???. Ubuntu 14.04.2 Desktop, 64bit?? ? ??? ???? ???? ??? ????. Cable driver? ?? ???? ????. 3) ??? ?? ?? ? Digilent ???? ?? ????? USB-UART? ????? ??? ???? ??? ???? ??. CONFIG_USB_SERIAL_CYPRESS_M8=y, CONFIG_USB_ACM=y? ??? ??? ???? ??. ?? ??? ???? ?, ??? ??? ?? ?? ?? ?????? ?? ???? ??. ?? ?? ??? ??? ??? ? ??? ???? ???? ??. ???? ????? ZedBoard? 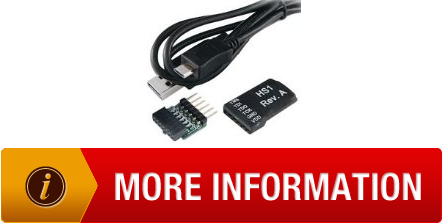 USB-UART ??? ???? ? /dev/ttyACM0 ??? ??? ? ??. ?????? ??? ????? ?, ??? ?? ?? ? ??. USB-JTAG, USB-UART? ??? ????? ????? ?? 1) ZedBoard? ??? SD ??? ??? ???? ??? ?, ?? ??? ? ?, 2) ??? ????? ZedBoard? ???? ??? ????? ???? ???. ??? ??? ??? ????(?) ??? ????? ?? ??. ???? ZedBoard ?? ??? ???? LEON3 ?? ??? ???? ???. ?? LEON3? ???? ZedBoard? ???? ? ??. 1) grlib ?? ?? ?? ?? ZedBoard? ???? ????? ./grlib-gpl-1.4.1-b4156/designs/leon3-xilinx-zc702?? ????. ??? ?? ZedBoard? ZC702? ?? ??? ?, ??? ZedBoard? ??? ??? ????? ??[26,27]. ./grlib-gpl-1.4.1-b4156/designs/leon3-xilinx-zc702/leon3mp.xdc ??? ?????? ??. ZedBoard? ??? ??? ???? ?? ?, ??? grmon? ??? LEON3? ??? ? ??? ?? ??? ????. ZedBoard? ??? ./grlib-gpl-1.4.1-b4156/designs/leon3-xilinx-zc702/leon3mp.xdc? ?? ?????? ??. ./grlib-gpl-1.4.1-b4156/designs/leon3-xilinx-zc702 ?????? make ???? ??? LEON3? ??? ? ??. LEON3? ??? ???? ./grlib-gpl-1.4.1-b4156/designs/leon3-xilinx-zc702/leon3mp.bit ??? ??? ? ??. ?? Makefile? ???? ??? ?????. make help ???? ?? ??? ??? ??? ? ??. ?? ??? ????? ?? ?? ?? ???? ??? LEON3? ????. XUPV5-LX110T(ML509)? ???? make ise?, ZedBoard? ?? make vivado? ????. make vivado ??? ??? LEON3? ????. ?? ?? ?? leon3mp.bit ??? ZedBoard? ??? ??. make program-zc702 ???? ??? leon3mp.bit? ZedBoard? ???. ?????? ???? ??? ?? ?? ???. ?? LEON3? ??? ???? ??? ?? ?, ? ? ??? ?? grmon??. grmon? ??? ??? ?? ?, LEON3? ??? LEON3? ??? ????? ??? ???? ??? ??? ? ??. grmon ?? Cobham Gaisler?? ????. Cobham Gaisler?? ???? grmon? 32bit? ?????? 64bit Ubuntu?? ? ???? ?? ? ??. ?????? ?? ??? ?? ??? ??? ? ?? ?, ?? ??? ???? ??? (??? ??? ???? ??). 32bit? ?????? ??? ??? ?? ???? ??? ? ???. ???? ???? ???? ?? ??? ? ?? ?? ???. 2) grmon? ??? LEON3? ?? ??? ??? grmon? ??? LEON3? ??? ? ??.
? ?? ??? ? ?, ???? grmon? Xilinx? USB-JTAG? ???? ???? ???. USB-JTAG? ???? ???? ?? ???. ??? ??? parallel JTAB cable? ???? ??. 3) ??? ??? ???? ? ?? ?? ???? ??? ?? LEON3? ??? ????? ???? ? ?, ?? ???? ?? ??? ???? ?????. ?? ???? ?? ??? ???? ??? ?, grmon? ??? ????. ??? ?? ??? ?? ??? ? ??. ???? ??? ???? ?? ??? ??? ?? ????. 1) ?? ? ???? ? ?? ??? ???? ???? ???? ? ??? ????. sparc-linux-ct-multilib-0.0.7, leon-buildroot-2013.02-1.0.3, leon-linux-3.10-3.10.58-1.0.4, mklinuximg-2.0.9? ????. sparc-linux-ct-multilib-0.0.7? SPARC? ????? ???? ???? ?, buildroot? LEON3? ??? ?? ???? ?????. leon-linux? ?? ???? ??? ?? ???? ???? ?, mklinuximg? ??? LEON3? ?? ? ?? ?? ???? ??? ? ??. ?? make install ???? ????. ???? make build ???? ?? ?, buildroot configuration? ????. ????? Save an Alternate Configuration File? ??? ??? ????. make build ???? ?? ???? ???? ./buildroot-git/output?? ??? ??? ??? ? ??. ???? leon linux? ????. leon-linux-3.10-3.10.58-1.0.4.tar.bz2 ???? ??? ??? ??? ?, ?? ????? ??. LEON3?? ???? ??? ? ??? ??? ?? ??? ????. ??? ?? ??? linux ?? ?? ???? ??? ????. ?? ??? ?? ???? ??? ??? ???. ????? make ???? ??? ??? ???? ????. ????? mklinuximg? ??? LEON3? ?? ? ?? ???? ????. 5) grmon? ??? LEON3 ? ?, ??? ?? Micron Technology Inc. (NASDAQ: MU) has had a solid week, with its shares bouncing handily on the heels of a reported $23 billion buyout offer from China’s Tsinghua Unigroup. There is just one problem, and that is not just that it may be a low-ball buyout offer. This proposed deal either will or should be blocked by U.S. regulators. 24/7 Wall St. has a thought here that should seriously be considered, and it comes with an up-front admission that the odds of success would seem to be very low. Intel Corp. (NASDAQ: INTC) should make a matching bid for Micron, with a promise of matching any such bid by Tsinghua Unigroup. Admittedly, U.S. and international regulatory bodies almost certainly would be all over Intel, trying to block this effort. That being said, there have not yet been enough loud voices against a proposed Chinese chip-making giant buying Micron. Another complication comes up as well here. Intel has a working collaboration with Tsinghua Unigroup. Intel even invested roughly $1.5 billion for what was reported as a 20% stake in Tsinghua Unigroup. Intel may worry that reaching for Micron could harm its relationship with the Chinese outfit. Again, a merger of this magnitude is larger than mere share prices. What is at stake here in a proposed acquisition of Micron by China is not just an issue of national pride. It is an issue of national security. Micron is U.S.-based and has much of its operations and many of its more than 30,000 employees here inside the United States. It claims to have the broadest memory solutions portfolio in the semiconductor industry, and it says that it holds over 20,000 patents. Micron makes critical DRAM and flash memory that is used in electronics, personal computers, internal systems and just about everything short of a basic toaster or wind-up alarm clock. That involves military, defense, law enforcement, government, corporate and consumer electronics alike. This proposal also would have an implication for Altera Corp. (NASDAQ: ALTR). Intel is trying to acquire this programmable logic devices-maker for $54 per share in a deal valued at some $16.7 billion. If the deal goes through, then Altera will become a unit of Intel, targeting existing and new customer sales. 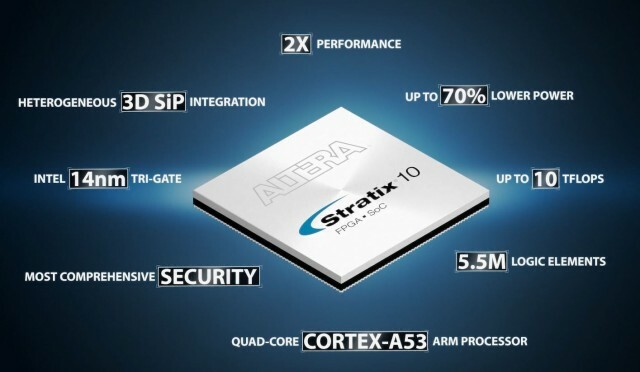 Intel signaled that it will continue Altera’s support and development of ARM-based and power management products. As of July, Intel did not seem to have an assured regulatory clearance in its effort to acquire Altera. The company said that it expected a period of six to nine months to close the deal, and that was more than six weeks ago. If Altera is being acquired for $54, then the current price of $50.30 indicates that there is at least some regulatory risk to the deal closing. Back to regulatory deal risk: The desire for Tsinghua Unigroup to buy up Micron almost has to be challenged by U.S. regulators. The Chinese would not allow a U.S. technology giant to come into China and buy up one of its top technology players. The Chinese might block a deal like that out of pride or security, and they have laws about what foreign companies can really own in China. Tsinghua Unigroup is a Chinese company that is part of what is considered to be China’s top science university, Tsinghua University. To make an easy reference, let’s just call this the MIT-equivalent of China. And let’s not overlook the notion that China owns and controls state assets and entities. In late 2013, Tsinghua Unigroup made two acquisitions, of Spreadtrum and of RDA Microelectronics. Those were even larger than its market cap, so where did the funds come from? It is no secret at all that China wants to have its own dominant technology sector. Effectively, this would lead to a mostly state-run Chinese chipmaker taking over the top U.S. memory maker. The take of 24/7 Wall St. is that, despite nearly certain regulatory efforts immediately rallying against it, it would be better to have a U.S. monopoly of Intel-Micron (or even Intel-Micron-Altera) than it would be to have a state-owned Chinese chipmaker holding all our chips. The Committee on Foreign Investment in the United States (CFIUS), the chair of which is the Secretary of the U.S. Treasury, reviews transactions that could result in control of a U.S. business by a foreign person or entity to determine the effect of such transactions on the national security of the United States. Again, think of all the flash memory and DRAM that is inside of national security equipment, on top of everything else. Now let’s consider another issue here. Jack Lew, Treasury Secretary, just met with the Chinese delegation in Washington for the seventh meeting of the Strategic and Economic Dialogue, which is targeted at strengthening bilateral economic cooperation between the United States and China. Was this acquisition offer for Micron brought up? Did China get a nod? Did China get told to back off? Or did China point out how much Treasury debt it holds? Needless to say, a Chinese company effectively owning the last chipmaker of DRAM and flash that is truly a U.S. operation should be considered something in which there are huge national security risks. CFIUS has a mixed history here, but if you consider that chips are used in nearly every single piece of defense and security equipment in the United States and abroad, then Micron’s ownership and domicile should matter. Still, a report in Forbes indicated that the proposed acquisition from China could be approved. While some may have real concerns, there is no assurance that CFIUS would attempt to block the deal. It allowed IBM to sell its PC business to Lenovo, but it blocked the Chinese from buying 3Com. Still, Hewlett-Packard recently announced the sale of a majority stake in its Chinese server, storage and technology assets for $2.3 billion to Tsinghua University (Tsinghua Holdings) to become H3C. Bloomberg said at the time that was the first major U.S. technology company to pass control to local owners since the government stepped up restrictions on foreign firms. If Intel owned Micron it would be one massive powerhouse, even far more than it already is. The antitrust concerns would be massive if Intel was able to control every aspect of the chip and memory sector. Still, if you only had two choices, would you rather have a Chinese state-run outfit owning a prized asset like Micron or would you rather let a U.S. giant keep all of Micron’s technology, most of its employees and its intellectual property (more than 20,000 patents) in America? In 2013 Micron acquired Elpida, which also has ties to China, despite being based in Japan. Micron’s announcement in February of 2013 said that the Chinese Ministry of Commerce gave antitrust clearance for Micron’s pending acquisition of Elpida. Here is what stood out the most: China’s approval was the last remaining antitrust pre-merger clearance required for completion of the transaction. This question over whether Micron should go to China or stay put does not even address the price of the proposed buyout. The $23 billion implied purchase price would be at $21.00 per share. This also would be a crushing deal for many Micron shareholders, and it would be a low-ball buyout, if history and analyst values matter at all. Trading at $19.60 or so, Micron has a 52-week range of $17.14 to $36.59, and its consensus analyst price target is $29.64. That means the average of all analysts covering Micron, even after they largely lowered their targets, value Micron at almost $30 per share. For those Americans who may be concerned that China would own or control a critical company like Micron, CFIUS can be contacted by email at [email protected] or by phone at (202) 622-1860. Just sitting with a glass of red and sorting out final bug of VHDL for Altera Lab Digital Logic part II port for the Master 21EDA board. Looking like the multiplexers are not passing through signals for some dang blasted reason. Will sort and post full details as soon as it is cracked.